She has been named Small Business Advocate of the Year by the U.S. Small Business Administration’s South Florida District, which covers 24 counties. The SBA will present the award at 9:30 a.m. May 30 during the Small Business Development Workshop being held at the Broward County Convention Center. The daylong workshop, now in its sixth year, is hosted by U.S. Rep. Debbie Wasserman Schultz; it is free and open to the public. 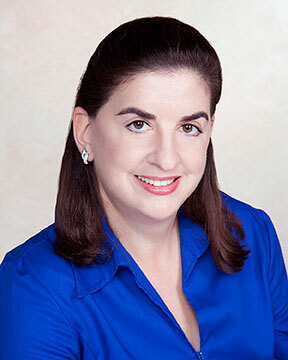 Geltner, a small business development analyst for the federally-funded Small Business Development Center housed on the PBSC Boca Raton campus, is one of eight people being honored by the SBA South Florida District; some of the winners went on to win state awards. The award winners were announced as part of the National Small Business Week events held May 4-8. Geltner estimates that she has helped hundreds of small businesses and entrepreneurs since joining the Small Business Development Center staff, including those she has assisted through community speaking engagements. “It’s probably closing in on 1,000,’’ she said. Prior to working at Palm Beach State, Geltner focused on her PR and Internet marketing business, Froogle PR, which she launched in 2009. She also has worked as a newspaper reporter, publicist and a fundraiser for nonprofit charity. She has received several public relations and newspaper reporting awards. She holds a bachelor’s degree in journalism from the University of Illinois, Urbana-Champaign.